The TV footage shows Kit Williams pulling up in front of London's Durrants Hotel in a smart black Range Rover. He climbs out of the back, walks through the lobby to the hotel's wood-panelled Armfield Room and sits at a table there. Waiting for him is a flat red box, about eight inches square, with the lid closed to conceal its contents. 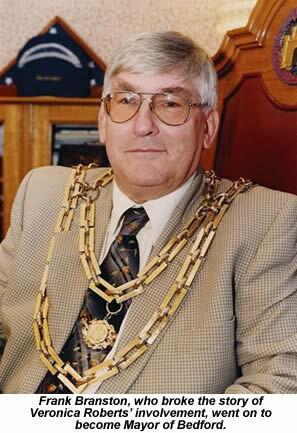 He opens the box, removes a layer of protective bubble-wrap, and lifts out a gold medallion which he suspends in front of his face by its chain. The medallion is just over five inches long and shaped like a trotting hare, its outstretched body filled with a swirl of intricate gold filigree. 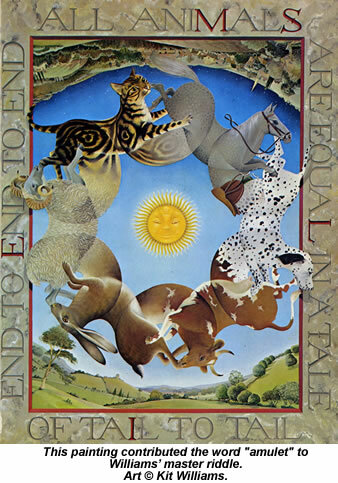 A tiny bell dangles from each of he hare's feet, flanking the splayed frog and smiling sun which hang from the its belly. Its eye, a tiny ruby, glints red for a second as it catches the light. 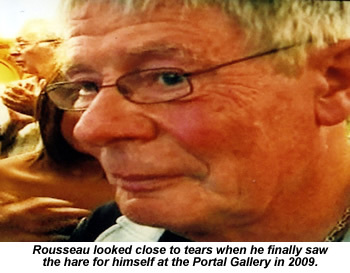 The hare had endured a long, strange journey to make this reunion possible. 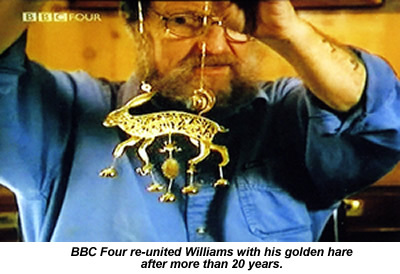 Beginning life in Williams' Gloucestershire workshop in 1979, it had since spent 30 months buried in a park near Bedford, sparked a global craze among the world's treasure hunters and sold over a million books. It had launched a scandal when it was finally found, been sold in a bankruptcy auction at Sotheby's and found itself spirited overseas by an anonymous buyer. 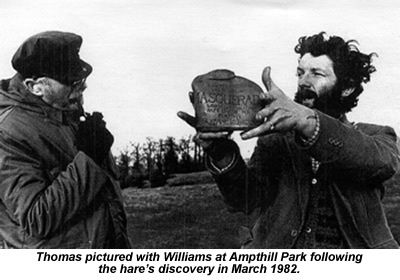 Not one, but two BBC documentaries were required to bring the hare back home and let Williams hold it again in the Summer of 2009. The story of how the hare found its way back to Williams relies on a string of lucky chances - one of which I was able to play a part in myself. Before we come to that, though, let's remind ourselves why it was worth running to ground in the first place. 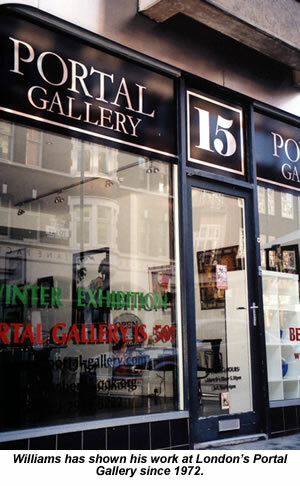 Williams began his career as a professional artist after winning the John Moores Exhibition prize in 1972, making his first sale through London's Portal Gallery that same year and holding his own shows there every year or two for the rest of the decade. His paintings - then, as now - were full of meticulously-detailed flora and fauna from the British countryside. He filled these scenes with naked women and cheeky old men, infusing the fecund fields and woods around them with a sense of folkloric romance and innocent sexuality. He was equally skilled at crafting ingenious three-dimensional objects, such as the fiendishly complex puzzle box, full of hidden compartments and trick releases, which he made to impress the Portal's Eric Lister. Tom Maschler, then the chairman of publishers Jonathan Cape, saw one of Williams' pictures at the gallery and thought the painter would be a good candidate for an illustrated children's book. 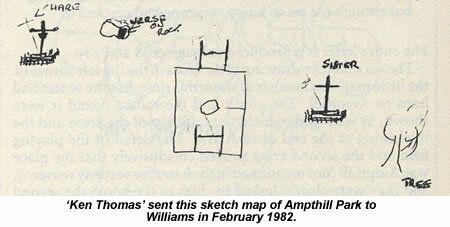 With the help of Lister, he engineered a lunch invitation, and the two men set off to visit the artist in March 1976. 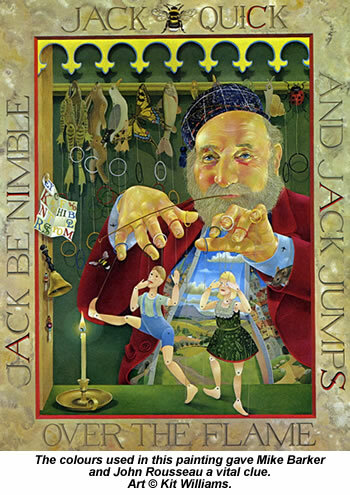 Williams showed them more of his paintings, and Maschler produced a copy of Nicola Bayley's Tyger Voyage, a beautiful children's book which Cape had just made a best-seller. Would Williams be interested in doing something like that himself? The next step was to work out the bare bones of Masquerade's story. Williams concocted a tale of a love token passed from the Moon to the Sun, using Jack Hare as her messenger. Somewhere along the way, Jack would lose the jewel he had been entrusted with, and it would be the readers' job to find it. Instead, he turned to Bamber Gascoigne, then the presenter of BBC 2's University Challenge, and a respected academic author. Gascoigne had already played host to the hare at his Richmond home when Cape hired his wife Christina to photograph it there for the book's back cover. He later became Masquerade's official historian. The Nationwide film was broadcast on September 19, the night before Masquerade's publication. The previous Sunday's Observer, a UK national newspaper, had already printed some previews of the book's paintings in its colour magazine. British industrial relations were in a terrible state at that time, with Labour's Jim Callaghan just ejected from power after the disastrous Winter of Discontent, and incoming Prime Minister Margaret Thatcher beginning to confront the unions. Both The Sunday Times, one of The Observer's main rivals, and ITV - then the BBC's only rival - were on strike during the crucial week, giving the book's publicity a far bigger audience than it would otherwise have had. Before publication day was over, Maschler had ordered a second print run of 50,000 copies. He'd have liked to make it more, but the Italian printer Cape was using simply didn't have the paper available for a bigger order. Instead, Maschler arranged for duplicate film to be shipped back to England, where he ordered yet another 50,000 copies to be printed. By Tuesday, September 25 - just four shopping days after publication - the whole of the first print run was sold and Maschler added another 50,000 copies to Masquerade's total. By Christmas that year, there were 210,000 copies circulating in Britain alone, and Masquerade had dislodged Frederick Forsyth's novel The Devil's Alternative from the top of UK best-seller lists. All the foreign-language markets but one accepted that the book's painted text and the structure of its solution could not be translated from English. Only the Italians troubled to remake the puzzle completely for their own market. Liliana Denon and Joan Arnold liked the British edition enough to get Williams' permission for this, and persuaded the Italian rights-holder to co-operate. They made their own authorised duplicate of the Masquerade hare, lodged it with a Milan attorney, and buried a note giving his name and contact details under the heel of the giant Neptune statue at Monterosso al Mare in an area of Italy called La Cinque Terre. 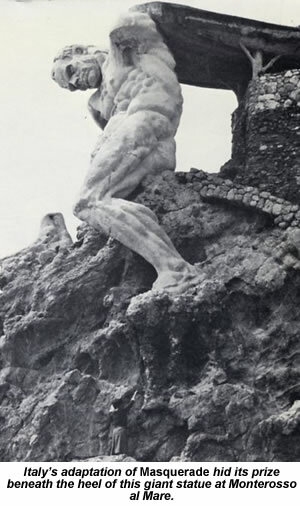 The statue is perched on the wall of a cliff at the sea's edge, making the climb to its heel a dangerous one, but the two women were undaunted. 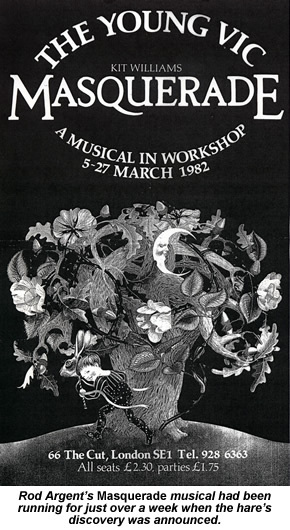 The Young Vic's Masquerade musical looked all set for a West End transfer when the hare was unearthed in March 1982. In the end, the musical ran for another two weeks after the hare's discovery, but then closed with all hopes of a bigger theatre forgotten. In 1980, Kit Williams had sold Masquerade's musical rights to Hit & Run Music, a company owned by the rock band Genesis. Tony Smith, the band's manager was given the job of finding someone to write songs for a Masquerade show. 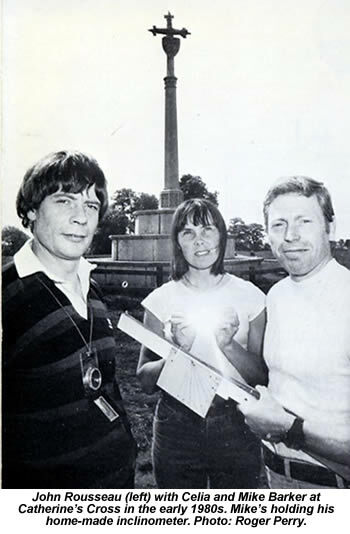 The first handful of Argent's songs for the show were premiered at Lloyd Webber's own Hampshire arts festival in July 1981. “I've found the original programme here,” Argent said, shuffling through the papers on his coffee table. “Performed by Rod Argent, Colin Blunstone and Stephanie Lawrence. Accompanied by John Heisman, John Mole and Barbara Thompson.” He was too modest to say so, but that gave the band two ex-Zombies, a star of West End musicals, two former members of jazz-rockers Coliseum and a highly-respected saxophonist - not bad for a private event that then drew fewer than 100 people. Somewhere in that audience was the singer Marti Webb, who was then working on a new album with Lloyd Webber as her producer. 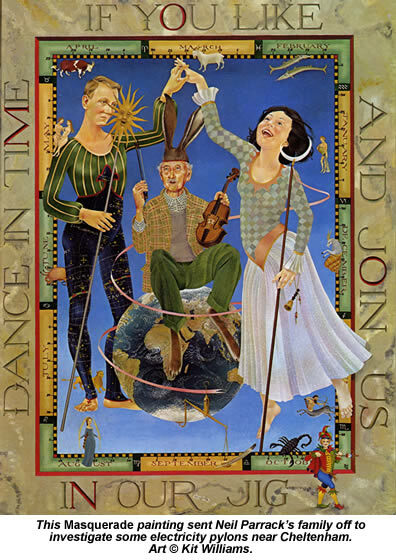 Appearing as the penultimate track on Webb's 1981 album Won't Change Places, Argent's Masquerade lyrics draw heavily on Williams' imagery. Meanwhile, back at The Young Vic, casting was proceeding apace. Roger Rees, fresh from his triumph as the RSC's Nicholas Nickleby, took on the role of Jack Hare. Sarah Brightman, already performing in Cats, joined the cast as Tara Treetops, and the chorus included a then-unknown Sinitta Renet. Brightman had enjoyed a big UK hit three years earlier with I Lost My Heart to a Starship Trooper. Sinitta would have to wait until 1986 for her own first hit - So Macho - but it was clear the cast didn't lack star power. The crew was equally distinguished, led by Tony-winning choreographer Arlene Phillips. 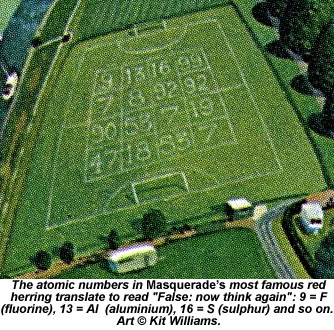 Perhaps the strangest thing in this whole story is the fact that Masquerade's musical ended up being written by someone who - unbeknownst to him - lived less than four miles from the hare's hiding place. He was still convinced he was right, but felt sure now that he was being asked to pass some additional test before his victory could be acknowledged. Finally, he decided that Agatha Christie must be behind the whole cruel plot. After all, she had died in 1976, the year Williams began work on Masquerade, and left quite enough money in her estate to fund the whole scheme. Who better than a detective novelist to dream up the infinite complexities involved?